Handcrafted from resin and wood. 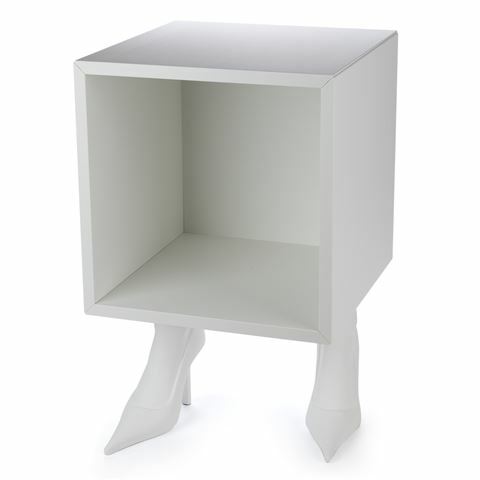 Handy storage cube with two feet. Feet are equipped with white high heels. Perfect as a bedside addition. Dimensions: 35cm (l) x 54.5cm (h) x 35cm (w) (Including Feet).